In any project, the first step is often the most important. If you venture off in the wrong direction on the initial segment of a journey, you will have a very long way to go to get back on the right course. The first step when designing an auditorium or worship facility is to get a clear understanding of how the facility will function and how it will be used before the room and the sound, theatrical lighting and video systems can be designed. This step is called programming. Both the facility and technical systems (sound reinforcement, multi-channel recording, video production, video projection, and theatrical lighting systems) requirements should be thoroughly discussed and specifically determined based on the current and future needs of the users of the space. Programming meetings and discussions will determine the design direction for the facility and systems. While these discussions should be the first step in the process, they often do not occur until well into the design development phase, when it is too late to make any significant impact. In fact, for the design of a new worship facility, the acoustical and technical systems programming should be completed before the architectural team begins design work. While some believe that such an early involvement by the technical systems design team may not be necessary, there are many questions that need to be addressed that will directly impact the design of the facility. Most notably, the size, configuration, location and accommodation of the technical systems production spaces should be clearly identified and included in the architect’s initial facility design concepts. If they are not, there will undoubtedly be significant compromises in accommodating these spaces. Ideally, the programming process should begin with a gathering that includes the entire professional design team. During this initial meeting, the team needs to listen to and ask questions of the church staff and volunteers. Anyone in a leadership, pastoral, or technical position should be included to ensure that all concerns are expressed and all issues are exposed. The process should begin with discussions of ministry goals. These goals will determine what functions need to take place in the facility. Keep in mind that the programming meeting has two functions: first, it is intended to provide the design team with an understanding of what the ministry is trying to accomplish and how the new facility and systems will help to achieve those goals; and second, it is a good opportunity for church staff members to sit down and voice their opinions and concerns in front of the rest of the staff. Interestingly enough, there have been instances where the senior pastor revealed a goal or a vision during the programming meeting that was totally unknown to the rest of the staff! – What is the type of church (denominational affiliation or description)? – Who attends this church (demographic information)? – Why do they attend? – What are the short-term goals of the ministry (less than 5 years)? – What are the long-term goals of the ministry (5 years or more)? – What are the stylistic characteristics of the worship service (how does worship take place)? – What special program requirements does the church have? – What are the growth goals for the ministry as related to facilities? It is important for the entire design team – not just the technical systems designers – to understand the ministry goals so that a facility can be designed to meet the church’s needs. What type of functions will take place in the facility? Functions associated with a worship service might include preaching, worship music, congregational participation, special music, drama, video presentations, altar call or baptisms. What is the style of music? What sort of acoustical environment will best support the music program? Are there a variety of musical styles that might include a contemporary band, praise team singers, soloists, orchestra, choir or organ? Will the facility be used for functions outside the normal scope of a worship service? Are there large seasonal theatrical productions, dinner theater-type productions, classical music concerts, contemporary music or rock concerts, youth concerts, memorial services, weddings or conferences? In support of these various functions is there a special requirement for video recording or broadcast, video projection of graphics, image magnification of action on the platform, sound reinforcement and theatrical lighting? Remember, while you, the ministry staff, might have a good understanding of what you do, the rest of the design team might not. The functions that will happen in the facility will not only determine the technical systems requirements, but will also determine the architectural design of the facility. Issues including production and support space allocation, room acoustical design requirements, stage size and access, technical equipment rooms, catwalk and theatrical rigging requirements, rear projection room requirements, tape duplication and point-of-sale, theatrical and technical storage requirements should all be determined based on the functional requirements. 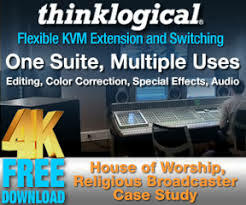 Some of the technical production spaces that should be considered include: front-of-house positions for the sound mix engineer, theatrical lighting operator, projection graphics operator; monitor mix booth; video production control room; video camera locations; video duplication and storage; audio-for-video or recording control room; recording studio including voice or isolation booths; sound equipment rack room; sound equipment storage room; sub-bass speaker enclosure locations; audio duplication room; audio recording tape archive; followspot locations; theatrical lighting dimmer room; lighting catwalk and access; and lighting instrument storage. All of these spaces, if needed to support ministry functions, should be accounted for in the basic space planning and facility layout in the initial conceptual design. Additionally, careful consideration should be given to the potential requirement for theatrical support spaces. Many ministry organizations want to have a building that looks and feels like a church, but functions like a theater. Stage access, wing space, theatrical rigging and fly space, scene and prop storage and construction, load-in and out, dressing and restrooms should all be considered if productions are important and will be an integral part of the ministry. Requirements for musical personnel should be considered before the stage or platform size is determined. What is the musical makeup for worship services, special productions or concerts? How many instrumentalists will there be? What are the requirements for the various instruments? How many vocalists or choir members? How will they get on and off the platform? Where will they go when they’re not on the platform? Many growing ministries are becoming aware of the increasing requirement for technical personnel. Even if the current technical team is comprised of volunteers, there may be plans in the future for part-time or full-time staffing of technical ministry positions. Whether staff or volunteers fill these positions, now or in the future, both their office and production workspaces should be properly accommodated in the basic design of the facility. Programming discussions for the sound reinforcement systems might begin with system performance criteria. How loud does the system need to run? What areas need to be covered? What sort of frequency response is needed? Additional requirements to be addressed include the number and location of system inputs, requirements for mixing and control, monitoring and recording, speaker coverage and configurations, intercom systems, facility-wide audio distribution and assistive listening systems. Specific detailed information should be gathered during these initial discussions with the ministry and technical teams and then applied during the design phase. Programming discussions for theatrical lighting systems might include: stage lighting level criteria; house lighting level criteria; ambient lighting requirements (direct/indirect sunlight, diffuse light, stained glass lighting, etc. ); automated lighting requirements; video, drama and theatrical production lighting requirements; requirements for color temperature matching; the number and locations of lighting dimmer circuits; automated lighting circuit locations; control and programming requirements. Video programming discussions should include the requirements for both video projection and production. Projection issues include the screen size and aspect ratio, front or rear projection, native image resolution, control and source switching. Video production issues include camera location and sightlines, camera format, switching and control requirements, digital video effects, recording, editing, campus-wide video distribution, Internet broadcast, TV broadcast, video duplication and distribution, and video conferencing requirements. What are the acoustical design requirements for the music program? Does the room need to accommodate organ, orchestra, choir and/or worship band? Noise control and sound isolation concerns should also be addressed. These issues include the setting of background noise criteria, the location and type of mechanical equipment, plumbing fixtures and piping, electrical transformers, and proximity to noise-generating sources. All of these items should be addressed in the initial programming phase so that the entire design team understands the importance of providing a quiet worship space. Often times the available budget is the main factor that will determine whether or not certain programmatic functions can be accomplished in a facility. However, asking how much one should spend on technical systems is like asking how much a car will cost: it all depends on where you want to go, what you need to carry, how fast you need to get there, and in what sort of style you want to travel. Similar limitations and requirements apply to technical systems as well. 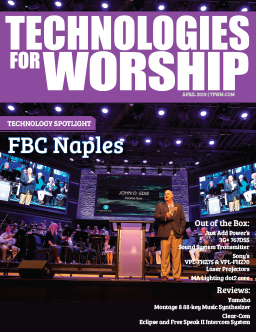 While not a hard-and-fast rule, many contemporary worship churches today use a figure of approximately 10% of the total project budget to determine their approximate technical systems budgets. 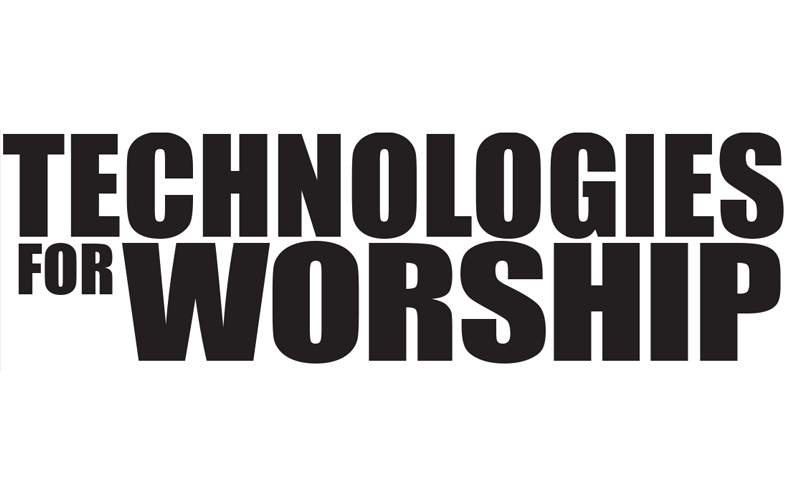 Most blended or contemporary worship-style churches that make use of media within the context of a worship service will spend about 10% of a new-construction building budget on sound systems, theatrical lighting systems, and video production (cameras) and projection (screens) systems. For example, a church spending $10 million on a new construction project will spend approximately $1 million on these technical systems. Likewise, a church spending $5 million on the construction of a new facility might consider spending approximately $500,000 for systems. But while this is a general rule, projects with a limited overall budget may not be able to install the systems they need within the 10% amount. A greater percentage of the overall budget may be required for technical systems in order to meet ministry production needs. For example, if for some reason the technical systems budgets get cut in half, you can’t go out and buy half a video projector. And often times, a projector that costs half as much as the one that is needed is not going to meet the needs of the ministry. You might be better off not buying anything at all. Ministry teams who attend church leadership conferences see how effective the use of media can be in their own ministry. However, they are often not aware of the cost of the equipment or the personnel required to produce presentations of such quality. They see professional quality systems and want to achieve similar results with fewer resources. In such cases, the budgets available are simply not large enough to provide for the systems and equipment that is needed to achieve the desired results. But in order to provide at least basic functionality for these organizations, the design team will often develop complete systems that can be implemented in phases. During initial construction, only a portion of the complete systems will be installed, but the infrastructure for complete systems will be included in the base building so that no additional infrastructure work will be required for future systems. As long as the infrastructure – including AC power, conduit, structural accommodation, equipment cooling, and production space allocation – is all provided within the basic construction of the building, then the rest of the systems equipment can be added in the future. Once these questions have been asked and answered in the programming phase, the design process can effectively begin. It is important to clearly document all discussions so as to have a written record of the design requirements. Often this document can be used to keep the design team in focus and on task when conflicting requirements arise. Once programming is complete, the next step is to take this information and apply it to the design process. While much of the systems details can be left up to the technical systems design specialists, there is significant impact for accommodating these technical spaces and systems within the architectural design of the facility. It is important to get things going in the right direction by thoroughly addressing each of these programming issues at the very beginning of the design phase.